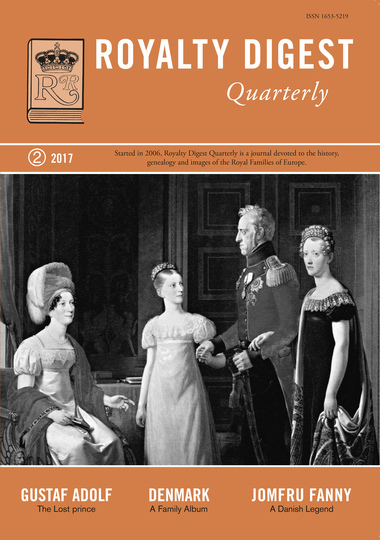 Our 46th issue deals with the Kingdom of Denmark in three different articles: A FAMILY ALBUM by Charlotte Zeepvat with 86 illustrations, and A KING FOR DENMARK by the same author, dealing with the complicated matter of whom select as heir to the Danish throne after Frederik VII. 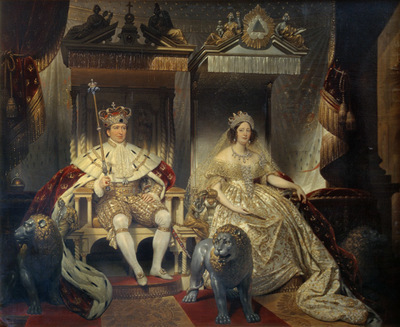 The third articler, written by Ted Rosvall, deals with a Danish Royal Legend: Jomfru Fanny - an alleged daughter of King Christian VIII and his first wife, Charlotte Frederikke of Mecklenburg-Schwerin. Princess Maud of Fife is the "Little-Known Royal" in this issue - presented by Coryne Hall. 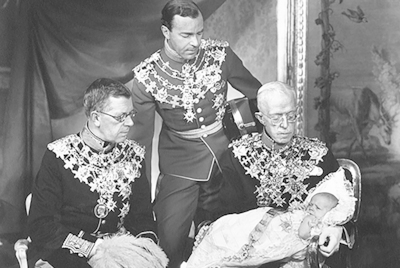 Four generations; Gustav (VI) Adolf, Prince Gustaf Adolf, King Gustav V and Prince Carl (XVI) Gustaf. 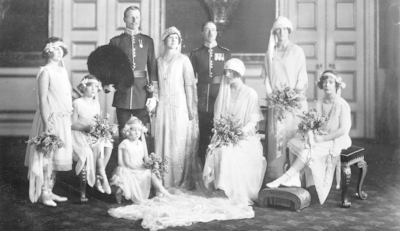 The wedding of Princess Maud of Fife to Lord Carnegie in 1923.